Join Collage New Music on March 4th, 2018, for an event-filled day, beginning with a composition workshop and ending with Collage’s evening concert. Meet your fellow colleagues, and benefit from analysis and observations about your own music, with the help of our guest composer John Harbison and Longy Faculty Paul Brust, gaining insights about their own compositional processes. 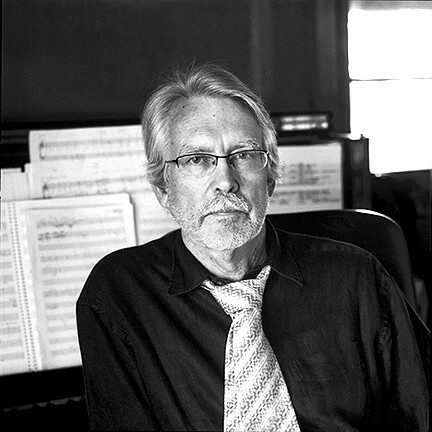 John Harbison is a Pulitzer-prize winning composer, professor at MIT, and decades-long colleague of Collage New Music. His epic 56-minute work Mottetti di Montale for mezzo-soprano and chamber ensemble will be performed that evening. Interested in participating? Simply submit your scores along with a recorded performance, for a chance to have your music workshopped by these esteemed composers. Applicants will receive consideration for their work being reviewed, entrance to the Colloquium, dinner, and a Collage mug. Entries must be submitted below by Thursday, February 22nd to be considered for the masterclass. Accepted entries will be notified by Tuesday, February 28th, 2018 and all entries are encouraged to attend! If you are now enrolled as a composition student at one of Boston’s area colleges or universities, you are eligible! If you have recently graduated from a college or university and have studied composition, you are eligible! If you are a high school student who has a score and recorded performance recording, you are eligible! Anyone is eligible to audit the workshop. If you wish to attend the workshop and pizza dinner, workshop passes are available at collagenewmusic.org/ticketinformation with the purchase of a concert ticket. ($5 fee includes workshop admission and pizza dinner). 3. A recording of a performance of the composition (mp3 or WAV format). Excerpts of the works chosen will be played and discussed at the masterclass. 4. Your contact information, including name, institutional affiliation, address, email, and a brief bio or resumé. 5. $15 to participate in the day’s events, including the masterclass, pizza dinner, pre-concert talk, concert, and reception. 6. Entries must be submitted by Thursday, February 22nd, 2018 to be considered for discussion at the masterclass. 7. Those who have submitted works will be notified by February 28th, 2018, as to whether your work will be discussed at the workshop. Whether your own music is chosen for discussion, we encourage everyone to attend this unique opportunity. Those whose works are selected must RSVP and be in attendance for the event. 8. For more information or questions, please contact Collage’s Program Director, David Stevens, at info@collagenewmusic.org.